Just when you think you are ready to sell your home, you look around to find the kitchen faucet is leaky, there’s a hole in the ceiling where the plumbing leaked last summer and the paint is chipping in more than one room. 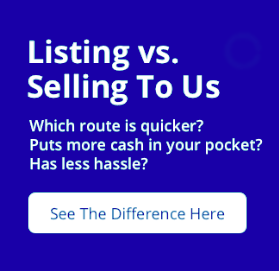 You are a busy home seller and your list of repairs is longer than an international flight. There are options for eager sellers that don’t require a major renovation. Read below for a quick recipe on how to sell my house as-is or repair. Should I sell my house As-Is or Repair? First, you have to know: Are you selling to a Retail Buyer via a Realtor, or Selling to an Investor? Selling to retail buyers can be tough . If it’s a hot or appreciating market, then adding updates could fetch a top retail price. In this scenario, buyers aren’t near as picky and will fight to outbid each other if they see something they like. Whereas, if it’s a slow market, retail buyers will be very picky and will make low-ball offers. You probably shouldn’t waste your time remodeling (maybe minimal updates), and should basically take your hit and move on. Selling to an investor might be a good option, especially if you don’t want to go through any repairs or deal with picky retail buyers. Investors aren’t buying your home to live in it–-its an investment. They are not going to care about the condition or be picky. In fact, the worse shape its in means more opportunity for them. You can also avoid the stress of Listing and Showing the home through a Realtor. Of course you are typically going to get less for the property, but the trade-off can be worth it. Make sure you deal with a reputable investor who has been in business a while, has a good rating with the local Better Business Bureau, and who really has the cash to “Close Fast,” as they all claim. American Home Buyer in Houston is great example of a local investment company you can trust. They have been in business for over 20 years and have stellar reviews on BBB’s website and their own website. They will buy your house for cash, as-is, and will take care of all major repairs and renovations. They also clean up items that you do not want to take with you, and can also close on YOUR time-line. I want to sell to retail buyers. What upgrades should I invest in? It is important to make a great first impression when selling your home. 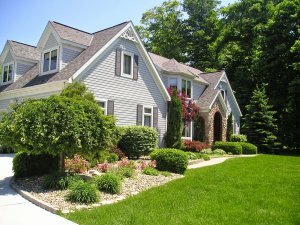 Investing in your landscaping is one way to add to your curb appeal. Plant flowers and shrubs, and make sure your lawn is nicely manicured. The Houston Area of Realtors states that ” landscaping can increase a home’s value by 15%. ” Prospective buyers are more inclined to tour a home that is inviting on the outside than one that is unkempt and lifeless. Adding fresh paint is a cost-effective way to cover unsightly blemishes and enhance living spaces. The key is to use neutral colors, i.e. shades of gray, on the walls. Repainting the surfaces of your cabinets can revitalize the look of your kitchen and bathroom. Clutter is a huge deterrent when showing your home. Home buyers look for clean living spaces that they can imagine living in. If the house has a plethora of personal photos, store them away until you sell your house. Replacing door handles , cabinet knobs and drawer pulls is an easy way to upgrade the look of your kitchen and bathroom. 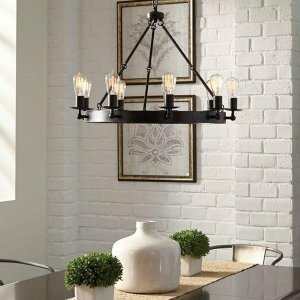 Updating light fixtures and faucets can make the home appear expensive and adds character to the home. Buyers cannot see past homes that need new flooring. You need to have your home in pristine condition because as soon as they see one negative they will look for more. If you do not want to invest in replacing the carpet or flooring, have it professionally cleaned. The expense and effort involved in improving your home can be daunting. However, if you are interested in selling your home, as-is, or quickly, American Home Buyer may be the key ingredient for a successful sale of your home!